You are here: Home / Europe / Romania / Things to Do in Brasov Romania & Around Brasov. 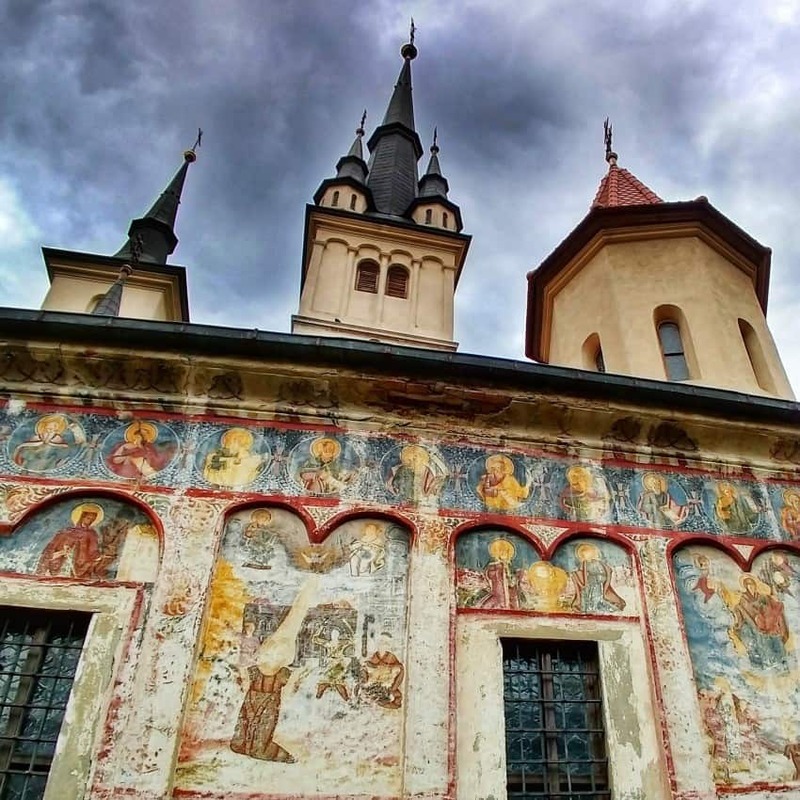 Things to Do in Brasov Romania & Around Brasov. Chef, after 2 cans of good Romanian beer, decided last weekend to enter the Brasov Marathon ( Braşov ). Normal people give themselves a year or so to train for these things, he gave himself a week. So not only did we have to organise a long weekend in Brasov Romania, he also had to be marathon ready by Sunday morning. OK, so that part was easy, he’s super fit. But what about Brasov? 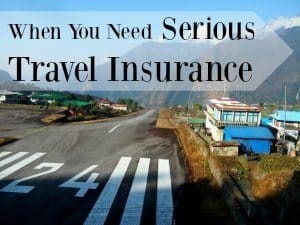 I should say right here that we were living in Romania, Romania travel is our thing and we are travel bloggers. But let’s talk Brasov travel. Is Brasov a good place to visit? 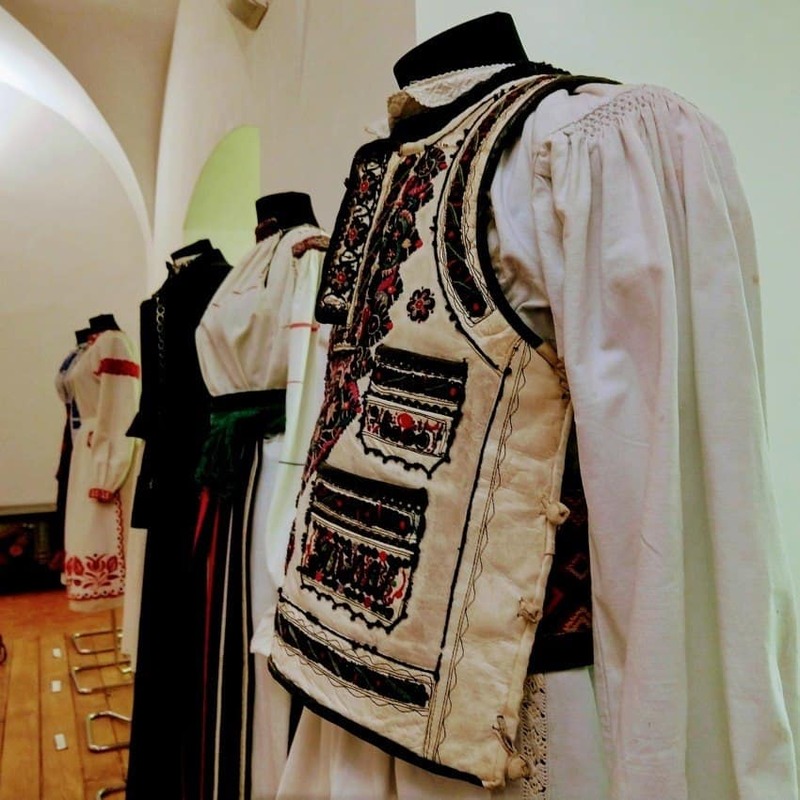 What is there to see and how about things to do in Brasov? Where to stay in Brasov Romania, that’s easy there are some great, affordable hotels and apartments. 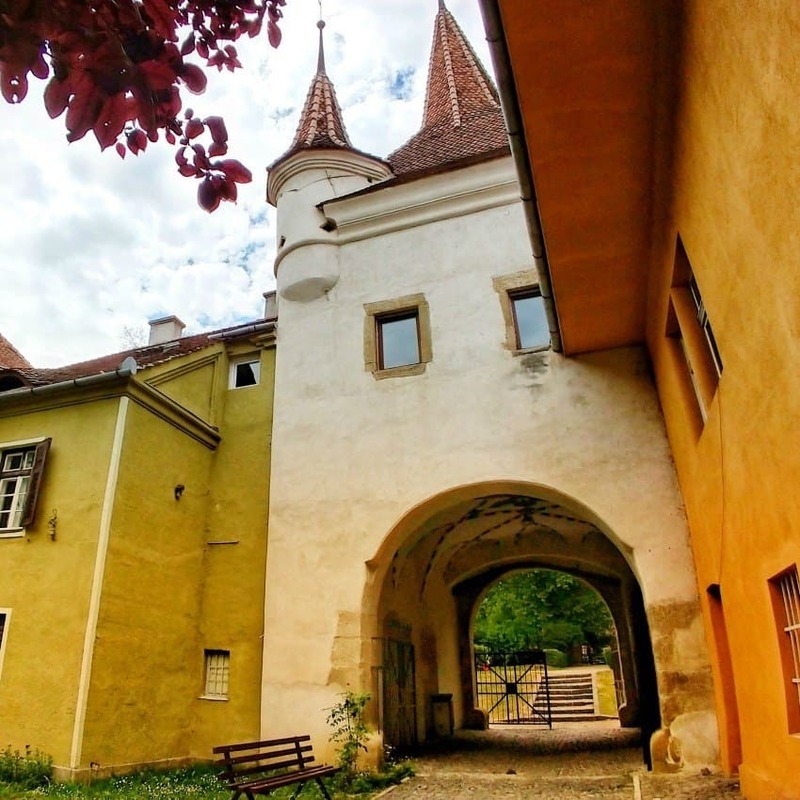 Let’s take a look at Brasov and our trip with kids. We’ve been many times, but this time the sun shone, we had plenty of time and we found some beautiful historic treasures that we’d never seen before. The whole of Brasov is incredibly ancient and much of it you could call superficially crumbling. Pretty buildings in yellow, pink and blue show the passing of time clearly in their plaster but the basic structure of the city is very well preserved. From Roman origins to Saxon development and medieval fortifications, the layout and constructions of the old parts of town seem to have changed little. Brasov has history, class and quality and the ancient centre is free from communist residential blocks. It has modern up-market shops and plenty of tourists. It’s a must-visit and hugely interesting if you can find some of the gems we list below. Head out for a walk or take a guide, but certainly give Brasov a full day of your time. There are stunning places to see near Brasov too, see a few towards the end of our blog post. Our trip to Brasov was a really fun family time. 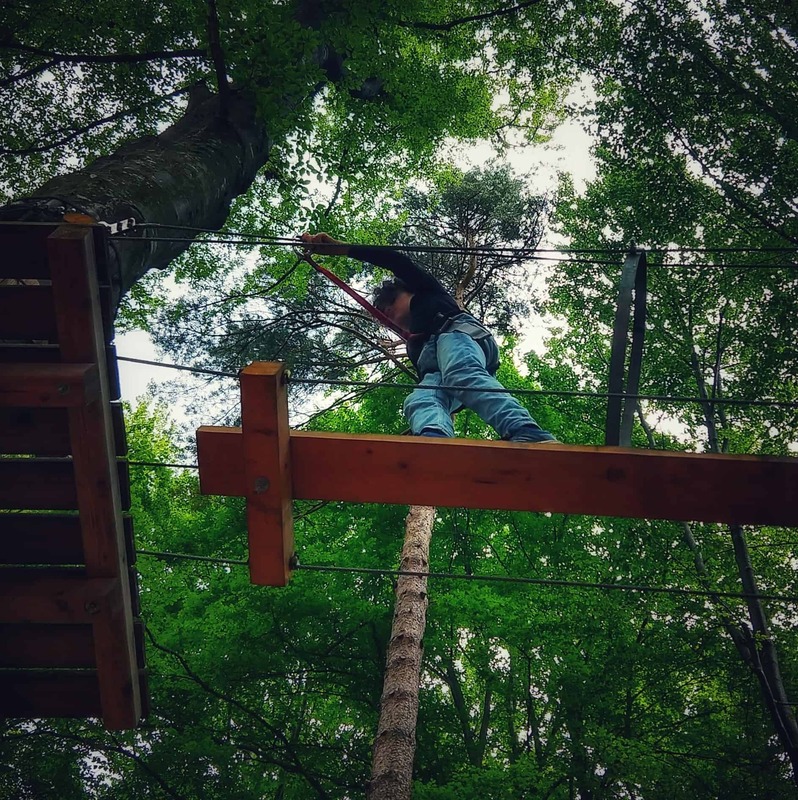 We love a good road trip and exploring the Brasov area by car allowed us to see loads, and also keep the kids super happy by throwing in the ropes course at Dino World. Chef loved his race, I loved the historic sites, good food and excellent shopping and the kids, mostly, enjoyed everything except long hours in the car. 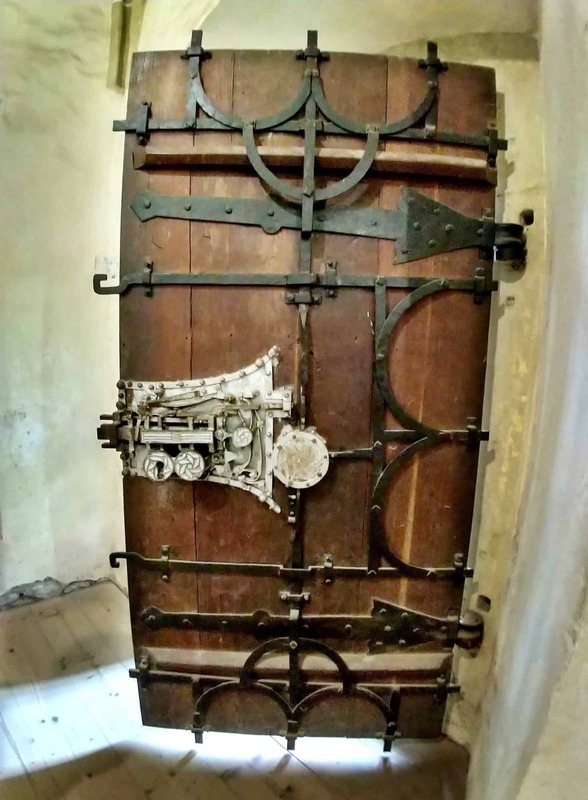 It’s always hard to get them to visit fortresses and churches but the ones we mention below were actually cool enough to keep them interested. There is so much history to top up in Romanian, from Romans to Saxons to Turks along with shifting borders and empires. This part of the world is incredibly complex. Did you know that Transylvania used to be part of Hungary and that many people are ethnic Hungarians? Hungarian is spoken in some parts. Also look out for the Romanian gypsies, you can see their Indian ( Rajasthan) origins in their outfits a thousand years later. You did know that Romania is called such because of the Romans, right? You’ll see a statue of Romulus and Remus in almost every town. Some parts of Romania, for instance Alba Iulia, also in Transylvania, have fantastic Roman ruins. Then there’s Dacia to learn about, it’s not just a make of car. This stuff, this is worldschooling. Where Did We Stay in Brasov? 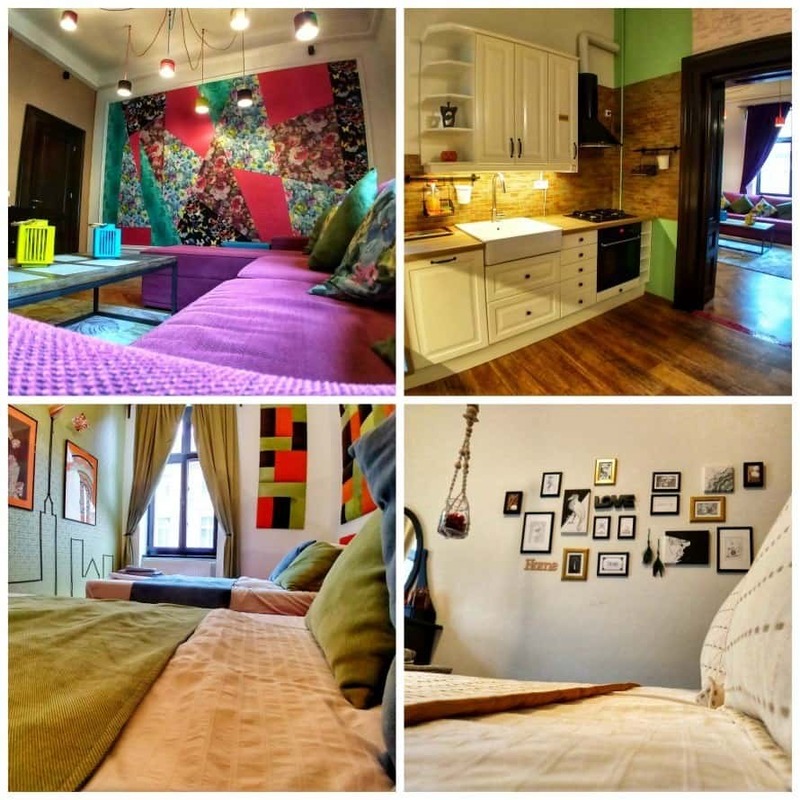 We loved this apartment in the centre of Brasov. Beautiful, great location, it even had its own sauna. Plenty of room for a family of 4 or for a larger family or party of friends. Details below. We went with a little luxury this time and booked ourselves a rather beautiful apartment just steps from the main square from which the marathon starts. It wasn’t cheap, around 100 Euros per night, but for that we got a beautiful and extremely well equipped 2 bedroom apartment with such luxuries as a home sauna, 3D TV, washing machine and more. I think you’ll agree it’s rather special. ( see it here) There are a few photos of our appartment in Brasov above and you’ll also see it in the video further down the page. We’ve stayed in quite a few places in Brasov over the years and there is something here for every budget. We’ve rented apartments here for under $30 per night ( see it here) which were perfectly adequate for a family of 4. I’ll add links below for a few places we’ve used and give some other options for solo or couple travellers. in time. If you’d like to pre-book a tour of, or to. Brasov or the surrounding area and the places we mention below, take a look here. You can arrange tours locally or from Bucharest, including multi-day tours. 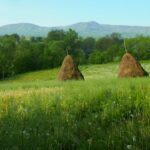 If you don’t speak Romanian and really want to get the most of this region we’d recommend an English speaking guided tour. 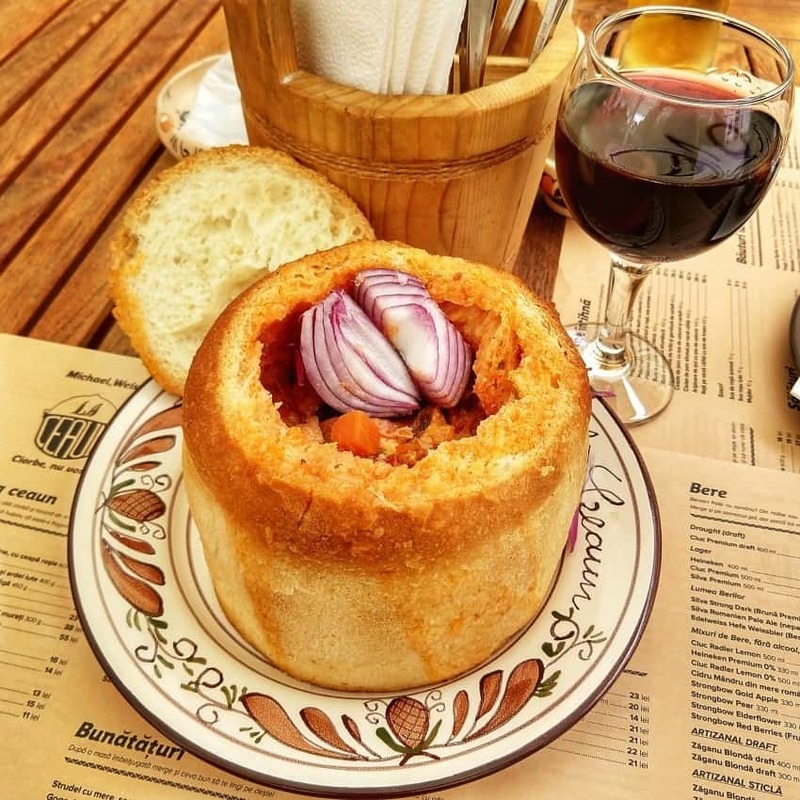 Romanian style bean and ham soup served in bread. In Romania you’ll often see red onion or a chili served on the side. The Romanian word for soup is ciorba. Brasov has a million dining options. 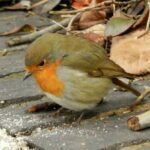 You’ll find all the large chains including Mc Donalds, KFC and Starbucks, along with a multitude of restaurants, often with pavement seating, serving Romanian specialities, good pizza and more. Prices are reasonable and there is plenty of really good ice cream and kürtőskalács ( chimey cake) to enjoy on the street. The simple soup above was 14 Ron ( lei). That’s under $4. A sunny morning in central Brasov, the Black Church is to the rear, don’t think this is it, a second piazza lies just outside the old city walls and you need to walk up there for St Catherine’s Church ( below). This square was the original market place, site of beheadings and home of a pillory for punishing, among other things, witches. Legend links this square to the Pied Piper of Hamelin, they say the children re-appeared here after being lead away. Today it is a pretty piazza with plenty of open air dining. The Black Church on the central square in Brasov is so called because of historic fire damage. It is huge, one of the biggest in this part of the world. The Biserica Neagră or Black Church (Schwarze Kirche, Fekete templom) is the huge gothic style church in Brașov that dominates The Brașov Council Square Piața Sfatului . Built as a Roman Catholic church in the 1300s, the Church of Saint Mary, it replaced an even older place of worship. There is a legend that a German child ( this church, like many in the region, was built by the German community) annoyed one of the Bulgarian builders so he pushed him off the church tower before bricking the child into the walls to hide his crime. Brasov, Romania. The church of St Nicholas, incredible ancient artwork still visible today. Moving now to Şcheii Braşovului, the old Romanian district outside Brasov’s fortified walls. The First Romanian School, Prima școală românească , is adjacent to and in the grounds of the oldest church in Brasov, St. Nicholas. This church dates back to the 1300s. There is a school museum but unfortunately it was closed when we visited. This was the only school in Transylvania . Each village would pay for one student to be educated here so that he could share that knowledge with the rest of the villagers on his return. Brasov’s first line of defense, these towers were built in the 15th century. Located outside the city walls there were originally 4 of these 11 metre high towers. With epidemic outbreaks in the 18th and 19th centuries it was also used as a quarantine area. The city turned the towers into tourist attractions in 2003 when tourism became a main source of income for Brasov. We walked to both the Black and White Towers, they’re an easy short walk through deciduous forests starting from the Graft alley and canal. The towers are impressive, but the views are spectacular. St Catherines gate was built in 1559 after the orginal gate was destroyed in floods in the 1520s. Built by the Tailors guild it was much bigger than what you see today. The gate is named after the St Catherine’s Monastery that was here many years before on the same land. Brasov medieval city had 5 entrances but this one was the only one that Romanians could use to enter the city after paying a tax to the Saxon rulers between the 13th and 17th centuries. Romanians were forbidden from owning land or houses in the city walls and so would enter and exit through here and live in the nearby area of Scheii Brasovului. The four turrets symbolise jurisdiction over the city including for capital punishment. This can also been seen across other cities in Romania. Bastion Graft or Bastion Gate seen above, provides a bridge from the main city walls to the white tower above. There are 200 steps up to the white tower from the base of the gate. It took 6 years to build, from 1515-1521. All of the water and run off from Şcheii Braşovului had to past through the channel under the graft. Şcheii Braşovului is the old Romanian and Bulgarian district, outside the main Brasov walls. Residents were forbidden from entering Brasov other than at certain times and then they would have to pay a toll at St Catherine’s gate, below. Now the Bastion is used as a museum and you can still get up to the white tower via the repaired original staircase. The path now runs along the wall but little remains as the city has extended and built through the wall starting back after some serious flooding in the early 19th century. 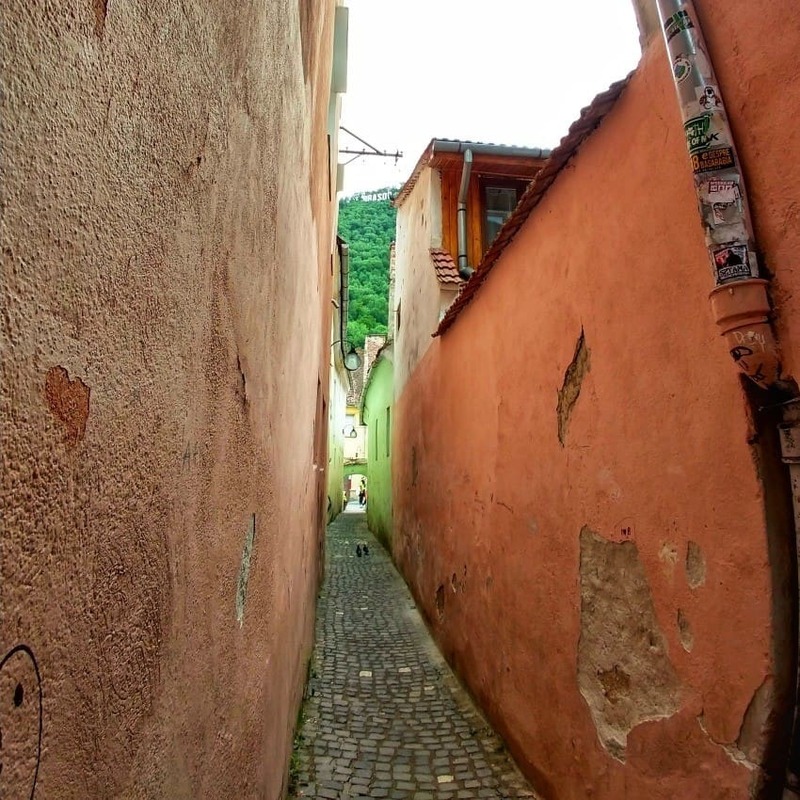 The narrowest street in Europe, Strada Sforii, in Brasov Transylvania. Rope Street (Strada Sforii) is around four feet wide ( 44 inches at its narrowest) and runs between houses connecting Cerbului Street and Poarta Schei Street. This street is far more picturesque in real life, with medieval roofs and arches all around.Can you see the Hollywood style Brasov sign on the mountain behind? There are actually narrower streets in Europe ( In England, Sweden, Italy and more) so I’m not sure why this one wears the crown. Maybe it could be the narrowest in Eastern Europe. Notably, the Brasov International Marathon passes through this street with policemen stationed on Poarta Schei Street to allow runners to get through the traffic. The marathon route is nothing if not interesting. Poarta means gate in Romanian, this road runs from one of the main gates in the old city wall. My husband competed in the marathon this year and completed it in 3 and a half hours. There is a lot of up hill ( followed by down) but he had loads of fun. 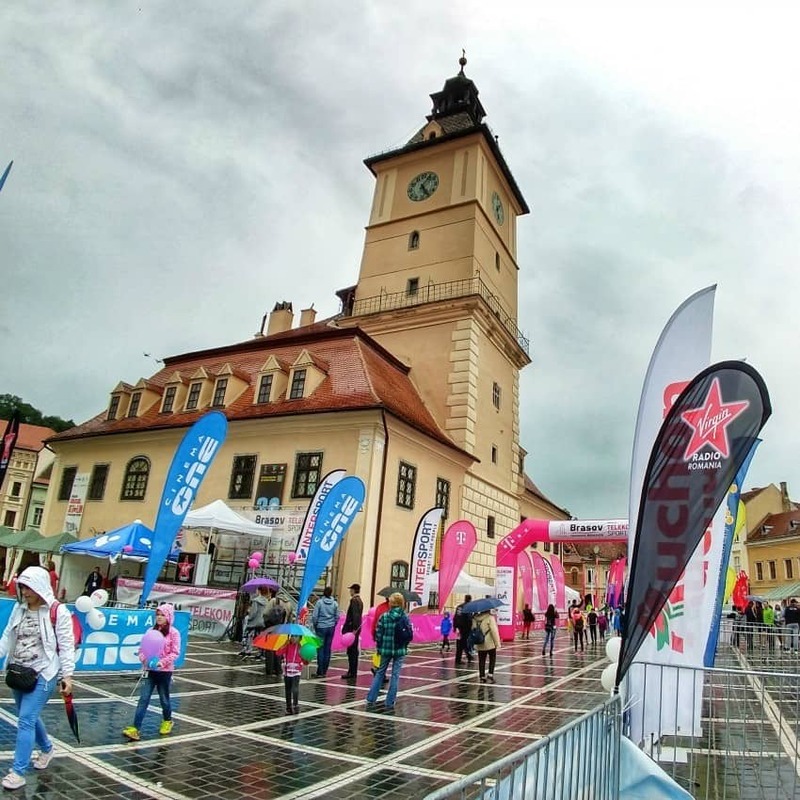 Brasov also runs a half marathon, 5 Km, 2.5 Km and kids’ race. This year ( 2018) it was on 20th May. See more in the video. Chef didn’t train for this, he just did it for fun on the spur of the moment. When you’re as fit as he is a full marathon is pretty easy. If You Spend a Few Days or Long Weekend in Brasov What is There to Do Nearby? A fairy tale feel to this ancient church. A guy showed us round, pointing out ( in Romanian, we understood!) the matrimonial prison, the tower we could climb and the German history within. Then he went back to tending his beautiful cottage garden. 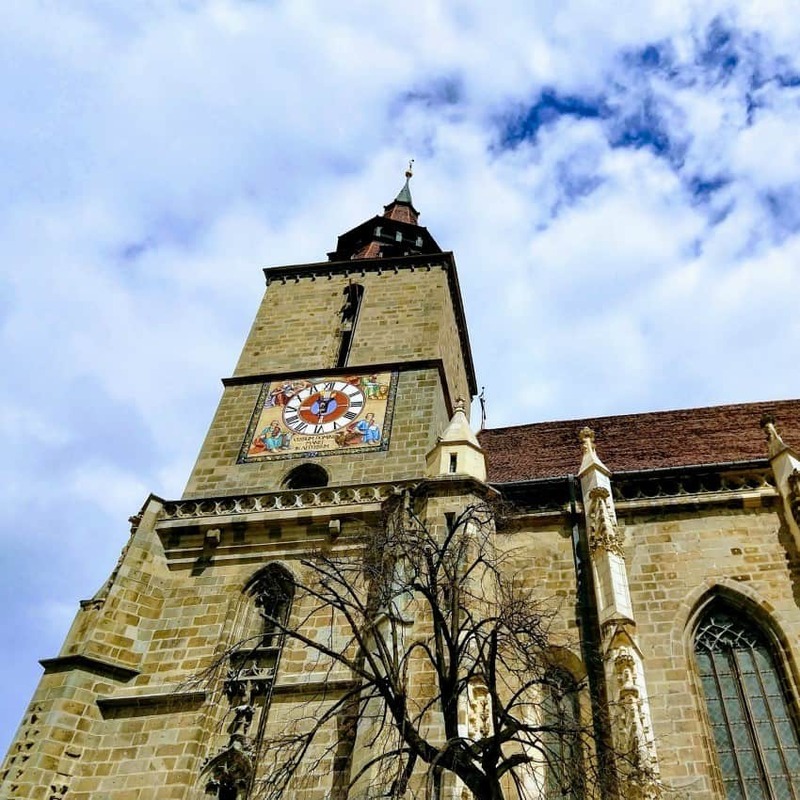 There are dozens, maybe hundreds of fortified churches in Transylvania and many can be reached in a day trip from Brasov. The church above, at Cincsor (Cincșor) is a favourite of ours for its fairy-tale feel, along with the one below at Beirtan. Both of these places had matrimonial prisons, cells where husbands and wives would be locked up for weeks on end while they settled their differences and fixed their marriages. The lock that blew my mind. Constructed in 1515, inside Biertan’s fortified church and they say it still works. I wonder if this inspired the Gringott’s Bank lock in Harry Potter? This part of the world is sometimes known as the Saxon trail and Saxon churches are a-plenty. If you’d like to see the biggest fortified church in Romania ( and you should) see Prejmer, below. 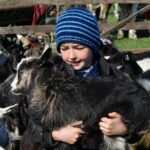 in nearby and well worth a look, we have a full post on the Bear Sanctuary, near Brasov in Transylvania here. Dino World Rasnov with older kids ( I have an 11 year old and a 13, almost 14 year old) is surprisingly, awesome. They loved the ropes course and laser maze. There is also a zip line which we skipped as it started to rain. The dinosaurs are very well done and suitable for all kids, from toddlers to teens. If you’ve visiting Brasov with kids of almost any age, Dino World is super cool. Little ones will love the play facilities and dinosaurs, older ones will love the ropes course, zip line, lasers and, if they’re Ark obsessed like mine, also the dinosaurs. It’s on the hill on the way up to Rasnov Citadel so it’s very easy to do both in one day. If you’re into Dracula and Vampires, Bram Castle isn’t too far away, around 30 Km. The castle actually has nothing really to do with the real Vlad. 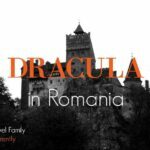 If you’d like to know more about that, read our post on Romania and Dracula. This place, Rasnov Citadel, totally blew me away. It’s around a 20 minute drive from Brasov and one of the best places to visit in the whole of Romania. Again, an incredible place. It was about a million times more interesting that I’d imagined. Fascinating, huge and dripping history. About 20 minutes from Brasov. The biggest fortified church in southeastern Europe is at Prejmer (Tartlau in German) in Transylvania and is only about 18 km, 20 minutes by road, outside Brasov. It was built by Teutonic knights in the 13 th century and could house hundreds of local families within its 13 foot thick walls when it was under siege. This place blew my mind, one of the most incredible places I’ve ever been and I need to write a full post on it. It is UNESCO listed. The powerful surrounding walls are 40 feet high and 10-15 feet thick. The Fagaras Citadel’s construction started in the early 1300s on the site of an even older fortification. This site has been utilised for many purposes down the centuries and is more a museum than a ruin today. It’s original job was to defend South-East Transylvania from marauding Tatars and Ottomans. 2 centuries later it was further reinforced doubling the thickness of its walls. 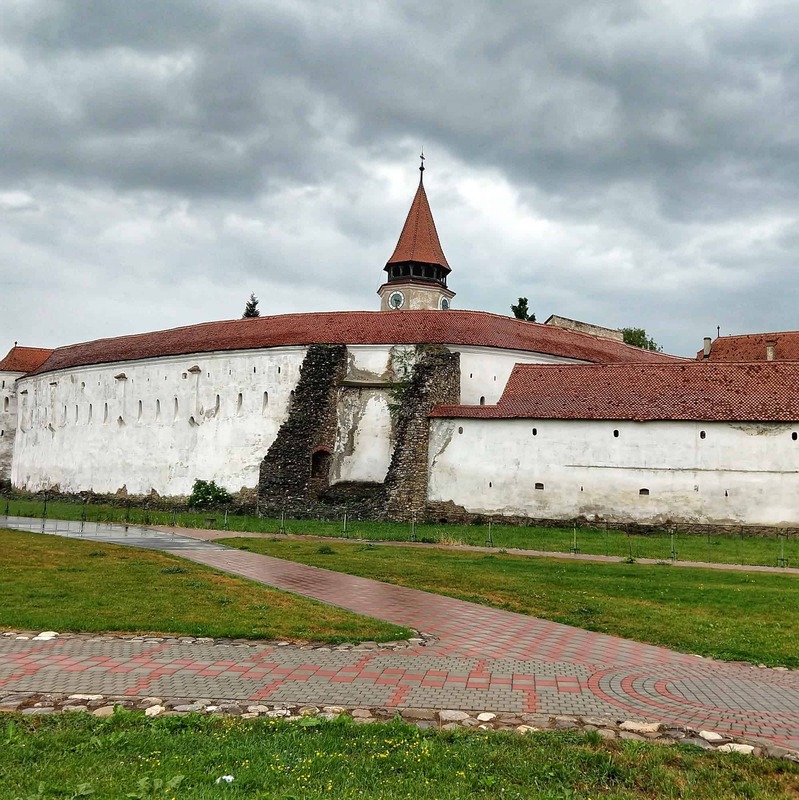 It has a fully intact moat, torture and dungeon exhibits and a link to Vlad Tepes. A most incredible golden domed orthodox church stands next to it and it’s well worth the trip. Fagaras Citadel is 67 Km, about an hour by road, from Brasov. 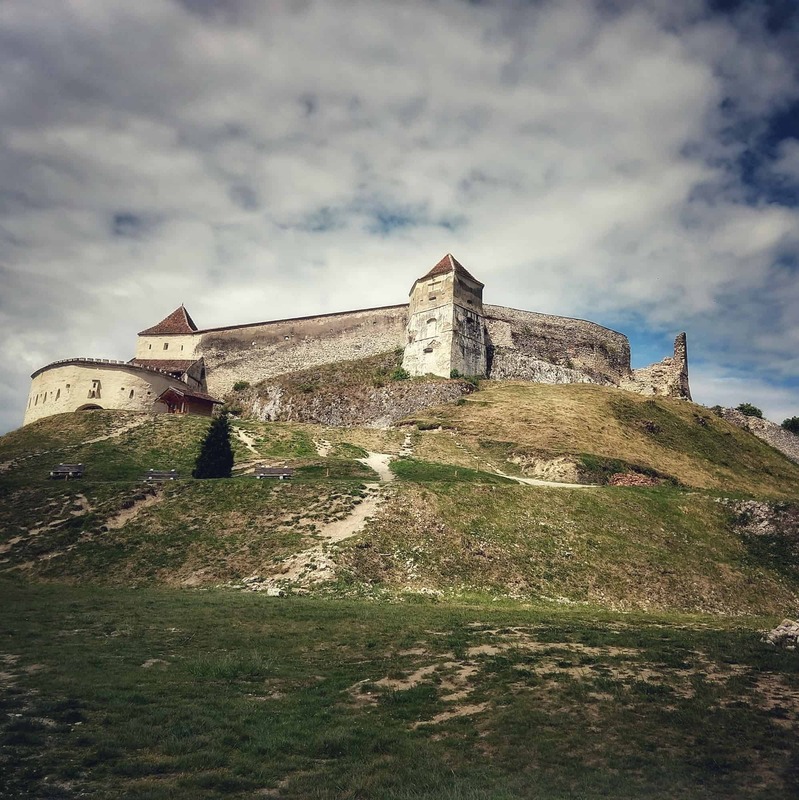 My younger son really enjoyed the Fagaras Citadel, so if you are visiting Brasov with kids, know that there is a cool wooden see-saw inside the walls here and plenty of ice cream outside along with swans to feed. Cluj Napoca is one of the most modern, developed cities in Romania. We visit regularly for the airport and modern shopping malls but I don’t think it’s much of a tourist draw in itself although there are some stunning places nearby. Cluj Napoca is still in Transylvania and is 274 Km from Brasov. To get to Cluj Napoca from Brasov by road you’re looking at a 4-4.5 hour drive. Turda ( Transylvania) and the Turda Salt mine ( we highly recommend this place, take a look) is just before Cluj Napoca if you are driving. Brasov to Turda is 238 Km. Maramures is the county immediately north of Transylvania. If you’re heading up from Brasov to Maramures, know that the drive to Breb is 400Km, which could take you between 6 and 8 hours. Sighisoara also in Transylvania and the birth place of Vlad Tepes is 118 Km from Brasov. 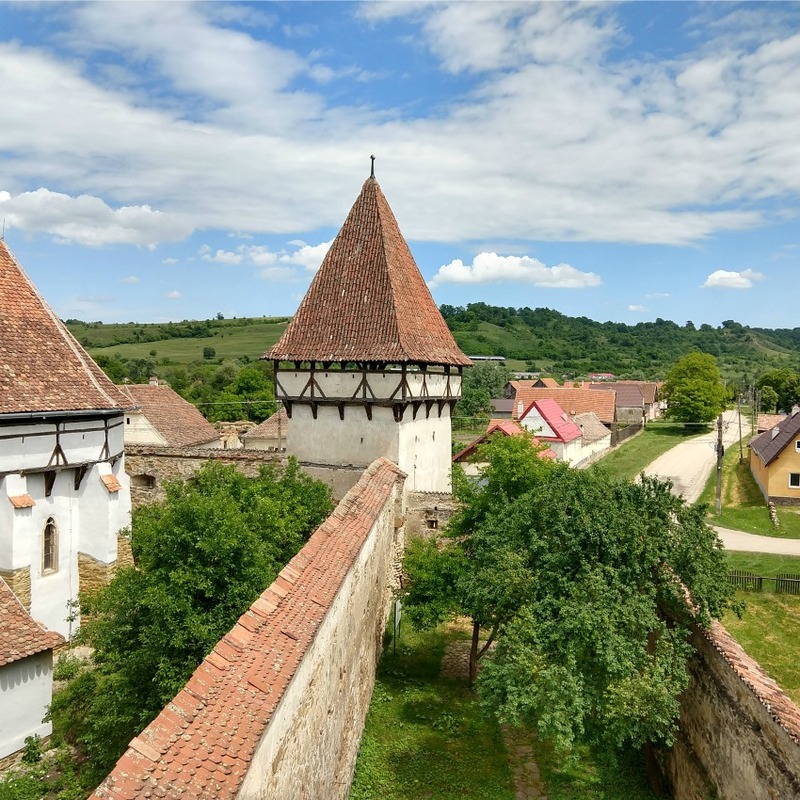 Click through to see our full post on beautiful Sighisoara. Brasov is an easy drive from Bucharest at only 170 Km. You could also take the train. We didn’t go, time just didn’t allow, but there is a cable car that leaves from Brasov old town and takes visitors to the look out point on the Tampa mountain. You can also hike this trail if you prefer. Brasov has skiing nearby. About 18 Km up the mountain from Brasov the ski town of Poiana Brasov has a good selection of runs and lifts. We haven’t tried skiing here yet but we will. We’ll tell you all about it. We regularly ski in Romania at Cavnic, which is tiny compared to Brasov, but fun skiing and very affordable. So, Brasov. 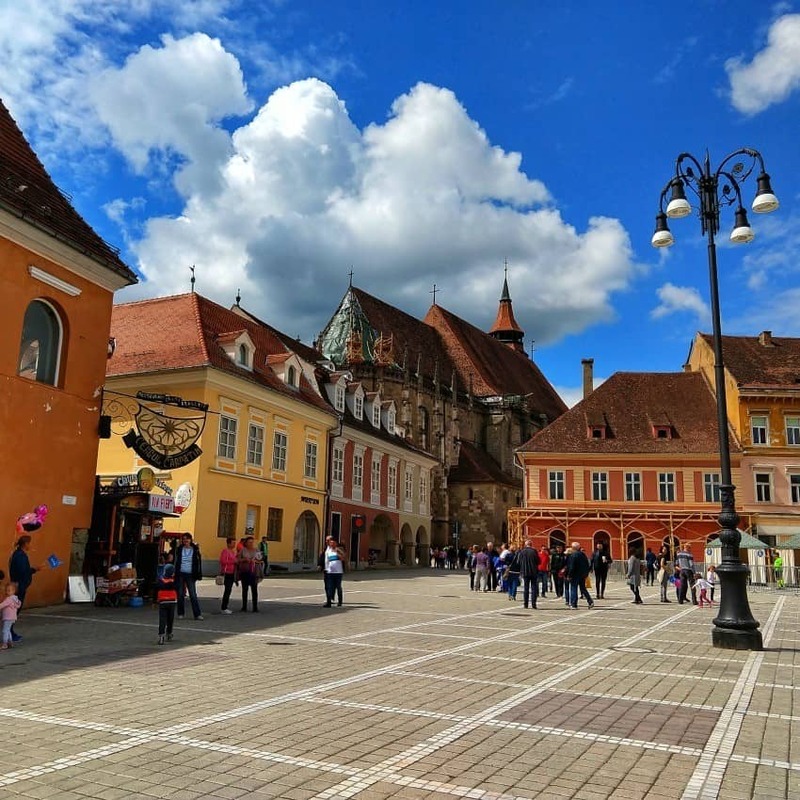 We like Brasov a lot and just about every visitor to Transylvania, and indeed Romania, will either stop here as part of a Romania-wide road trip or base themselves here while they explore Transylvania. 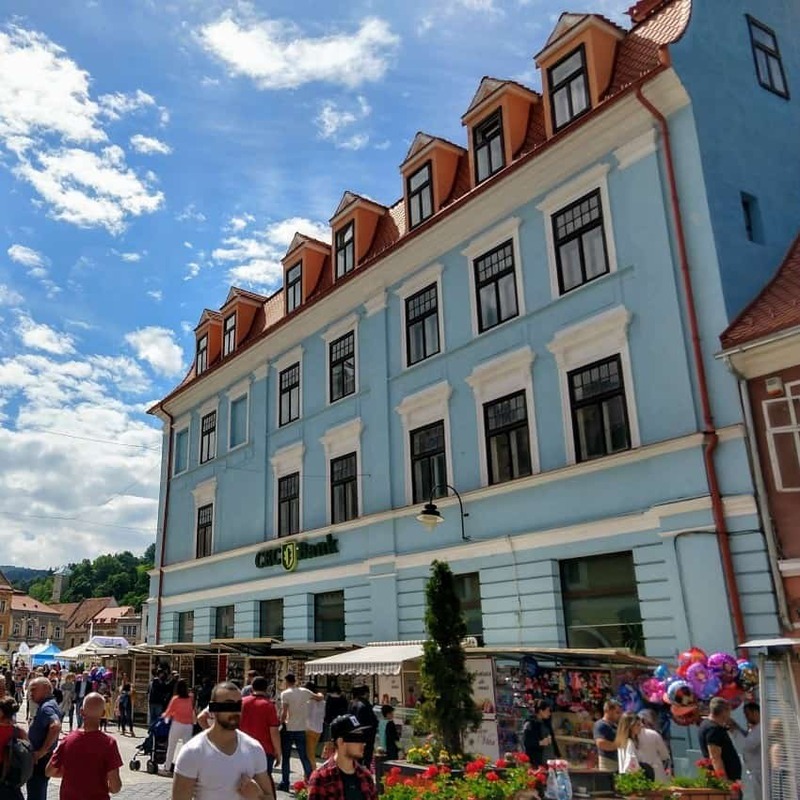 We’ve been visiting Brasov for years and have only recently found some of the places of interest above.There are a million things to do in Brasov, but the places to see above are some of the highlights. 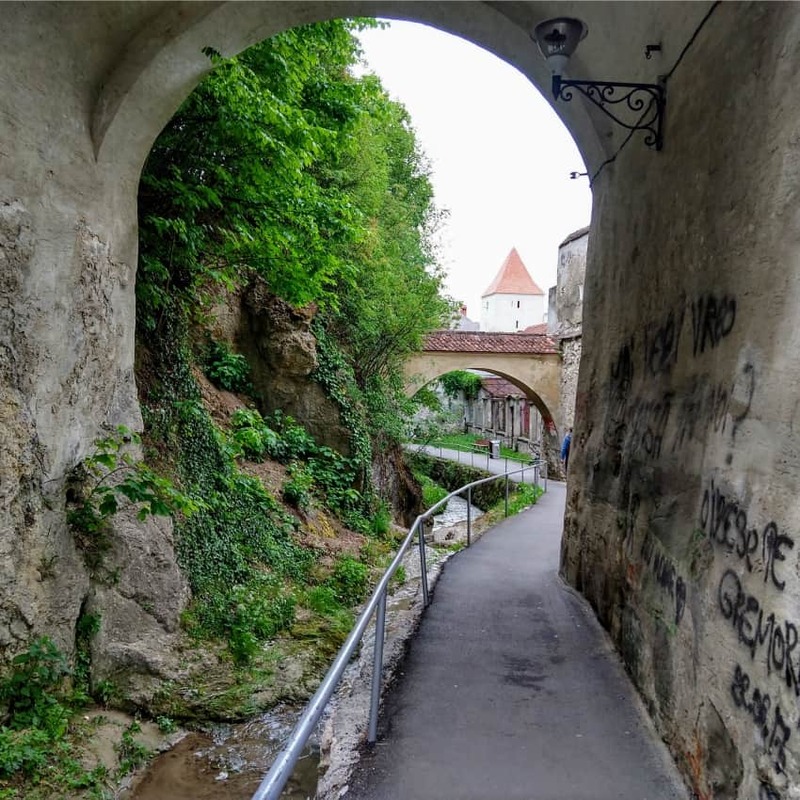 Do your homework before you arrive or take a tour of Brasov because you really don’t want to miss any of the above and I’m sure there are plenty more fascinating places we are yet to visit. The Romanian word for soup is supă. Ciorba is different from a soup. Borș, zamă are simmilar AND different to ciorba or supă. Chiseliță is a creme (actually chiseliță no longer used to name a creme, hugh, modernisation). English has only one word : soup. Romanian has different word. Because these are only looking to be simmilar , but aren’t. I love how you included some of the cities and attractions near Brasov, considering that this city is one of the most popular travel destinations in our country. 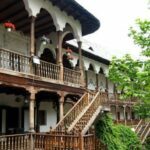 Day trips to Fagaras, to the Bran Castle, to the Peles Castle, to Sibiu or Cluj-Napoca can always be a part of a travel itinerary in Romania.